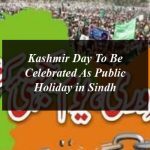 Kashmir Day: Public Holiday on 5th February 2019 in Pakistan. In order to commemorate the Kashmir Day, the government of Pakistan has taken the decision of declaring 5thFebruary as a public holiday in all the provincial governments including Gilgit Baltistan, Azad Jammu and Kashmir, and the Islamabad Capital Territory. As per notification issued by the Ministry of Interior there will be a public holiday on Kashmir Day, 5th February and requested for all to observe a minute of silence in the honor of Kashmir Day and the martyrs at 10 am. On 5th February, all government, semi-government offices, educational institutions, and corporations will remain closed. So there will be a public holiday 5th February 2019, Kashmir Day will fall on Tuesday. Kashmir Day is commemorated by people all over Pakistan and Azad Jammu Kashmir (AJK) in order to show their devotion for the people of Kashmir that they are not alone in their struggle for freedom. Kashmir Day has greatest important across the world. Religious parties organize rallies, conferences, seminars on this day in Kashmir and AJK. 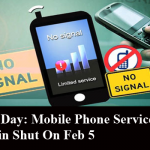 In 1990, Qazi Hussain Ahmad of Jamaat-e-Islami party had suggested a non-working day to highlight the issue of Kashmir and the government had decided to commemorate the 5th February as a public holiday in the country.